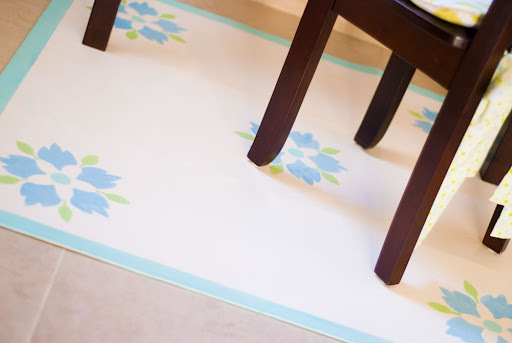 Do you want to see how I created a cute, colorful DIY floor pad that cost me nothing? Read along. I was working on my daughter’s litlte study corner, and I wanted something to demarcate the area, ground it, if you will. Cleaning some stuff I found a small box of vinyl flooring tiles I had bought years ago, and have been dragging with me from place to place. It occurred to me that this might be the solution I had been looking for. But in its original state it was a plasticky grey monstrosity that I could barely stand. 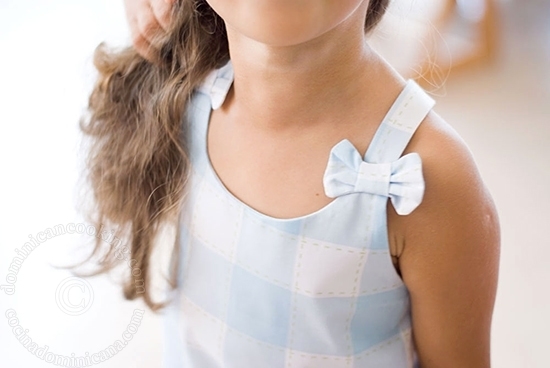 I decided that like many a thing in life, a little fabric would fix the problem. I joined 9 tiles with duct tape on the right (non-sticky) side. Then I uncovered the sticky side and laid a piece of canvas left over from my closet project on it. I made sure the fabric was taut and there were no wrinkles. I folded the edges of the fabric and taped them on the other side with more duct tape, like the picture above. I gave the fabric two coats of primer, and one coat of white acrylic paint, leaving enough time for the paint to dry. See that jar? That’s how I save my leftover paint. I made a stencil by printing the object I wanted on regular paper. Covered the paper on both sides with clear packing tape and cut. Then I stenciled my flowers (it was a 3 step process), and painted a border. Even with the canvas, and duct tape, the shape of the tiles was still visible, so I went with a motif that reminisced of hand-painted tiles. Gotta work with what I have, a piece of linoleum would work better, but I didn’t have one. When the acrylic was dry, I gave the whole thing 4 coats of water-based polyurethane, respecting the drying times in between. Click on the images above to see the pictures and instructions. And this is the result. Just perfect for the spot. I happened to have each and every item I ended up using. If I had to buy everything I would have chosen linoleum over tiles, and pre-treated floor canvas instead. If you are into watching paint dry, this project is perfect for you. If you aren’t, then it’s OK, because this is not as much difficult as it just takes a couple of days waiting for paint/poly to dry. You can do other things instead of staring at it, cause it’s not going to get the paint to dry faster. Don’t ask me how I know. Patience, little grasshopper! I have a couple more projects for this room and then you get to see how it turned out. I'd love to see a finished before-and-after (did I miss that in another piece of your blog? ), with the bulletin board, lamp, floor covering, etc. Thanks! Keep up the great work, I love it!